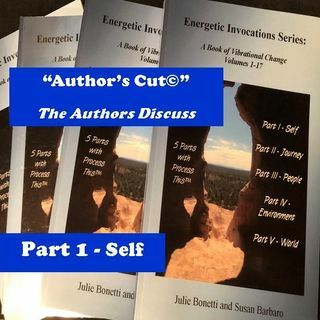 Part One, “Self,” of “Energetic Invocations: A Book of Vibrational Change,” addresses who you are and think you are, and who people have labeled you to be. Hear the authors’ heartily discuss the importance of self-care, while contemplating how bullying, healthcare, “being sick,” and charity can be understood better in order to create healthy change. Join the authors’ discussion, buy the book, and be inspired to be a part of your own self-empowerment journey!